Hello everyone! 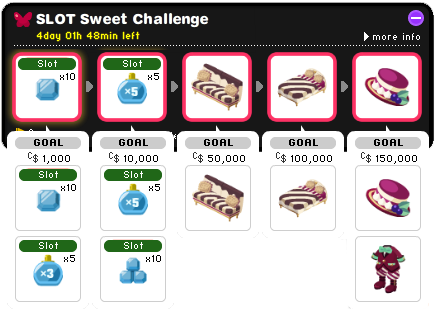 Did you already got the Vegas Limited Sweets Items? Well, if you haven't here's some spoiler and guidefor you~!! 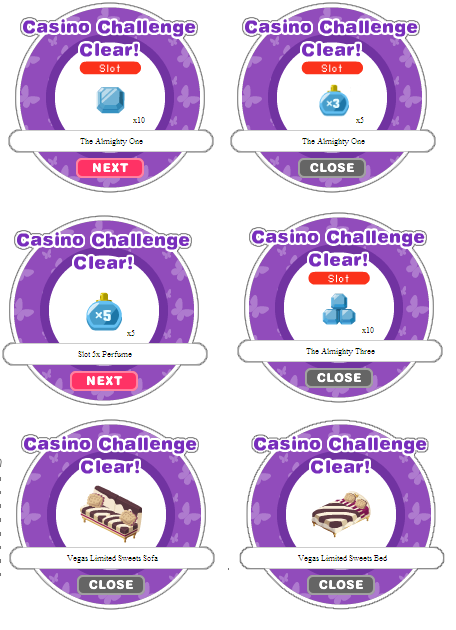 Here's the list of items you can get with it's goal on how many Casino Dollars you should earn to get the items. How would I know if I got the item Already? There will be a notice that's going to appear on your screen telling you you have received and item. 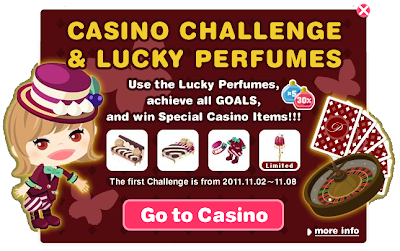 To be sure, Check out your Decor, Closet and look at the "item" section can be found on the top left of your screen where the stones/perfumes will appear. Aren't these items are soo cute?? So don't miss it out! This campaign is until 8th of November only! So run at the casino area and get them now! !